This tutorial explains how to turn off automatic updates in Windows 10. We all know Windows 10 Pro and enterprise editions do support ‘Defer upgrades‘ option to stop downloading and installing the updates automatically. However, Home and other editions of Windows 10 have no such feature and updates are downloaded automatically in the background. This is really irritating and problematic especially when we have low data. Settings up your WiFi as metered connection might be useful to limit the data usage, but is there any solution that can completely stop downloading and installing the updates? Keeping this question in mind, I came across a third-party software, known as Win Updates Disabler. This software is probably the best and quickest solution to stop automatic updates in Windows 10. 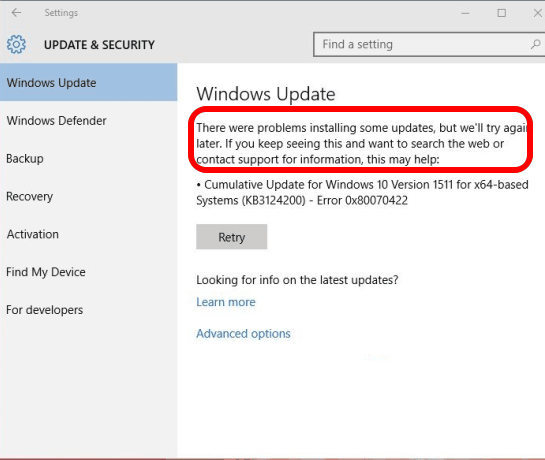 When you have activated the option to stop the updates, accessing the Windows update option will show you some error, like visible in the screenshot below. Check for updates option won’t be visible after disabling the updates. You can also activate updates option when you have enough data to update your Windows 10. How To Turn Off Automatic Updates In Windows 10? 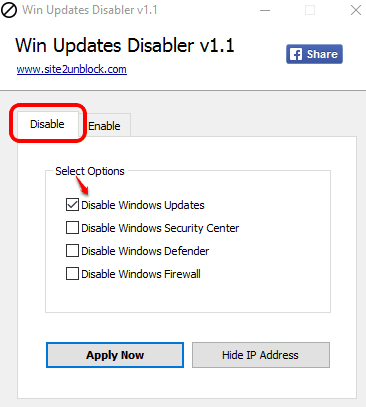 Step 1: Download the portable or installer application of Win Updates Disabler software. Step 2: Open the UI of this software and you will find two tabs: Disable and Enable. Use Disable tab and click on Disable Windows Updates option. After this, use Apply Now button to save the changes. You might need to restart PC to successfully save new changes. The software also lets you disable Windows defender, security center, and Firewall, but it can be done manually as well. So keep your focus in disabling Windows update. Step 3: Now go to Windows Update section under modern settings. New updates won’t be installed now. Instead of that, you will see an error message. Step 4: When you want to update your Windows 10, you can access Disable tab to uncheck the selected option, and apply the changes. 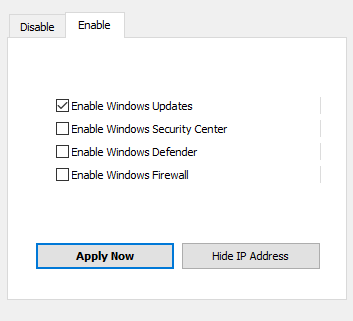 Or else, you can also access Enable option and select Enable Windows Updates option. There might be other tools or solutions available to turn off automatic updates for Windows 10, but this is the simplest solution I have come across. I didn’t face any trouble using this software. So, I can recommend it.